If replacing your roof isn’t your first idea of a fun home maintenance task, we don’t exactly blame you. Most of us would much rather remodel our kitchen or update our patio. However, if you’re putting off roof maintenance because ‘the problem isn’t that bad,’ or ‘winter isn’t a good time for roof work,’ think again. Neglecting this area puts your entire home at risk. Without a sturdy, durable roof, plans for remodeling and updating don’t make much sense. We even offer an estimator tool on our site, so you can get an idea of the scope of your project. Think of a replacement as an investment in the future security of your home and family. Additionally, a new roof is an excellent way to increase the value and curb appeal of your house. Read on for our insider’s knowledge and guidelines for replacement. What Should I Consider When Choosing a Time for Replacement? As you prepare for roofing work, keep these three considerations at the forefront of your mind. Of course, cost is one of the biggest concerns for homeowners looking at a roof replacement. Before you decide on when to get the job done, know that there are peak seasons. Roofing work usually heats up from late summer to fall. During this time, you’ll find that the cost of work and materials rises. Roofers also book up quickly and may have to place you on a waiting list. After the busy season of fall, prices tend to drop as winter approaches. What is it about the late summer and fall seasons that make everyone want to replace their roofs? Generally speaking, the weather has cooled off somewhat and people have returned from their summer vacations. People are often in a hurry to get things done before colder weather and the holiday season arrives. In areas where temperatures drop sharply, winter presents a challenge for roofing work. The thermal sealing process requires at least 40 degrees Fahrenheit for successful completion. However, because frosty weather is a rare occurrence in our area, winters generally aren’t a major concern. Homeowners will, however, want to get work done before long periods of heavy rainfall. Time may be the most important factor of all. Whenever possible, plan ahead. We strongly encourage scheduling bi-annual roof inspections to avoid big surprises. Planning a roof replacement before a crisis happens will save you time and prevent frustration. You’ll also avoid a mad rush to get your house in habitable condition again. The best moment to replace your roof is, of course, when you need it most. What Urgent Signs Should I Be Aware Of? In these instances, you can’t wait for prices to go down or for the weather to change. 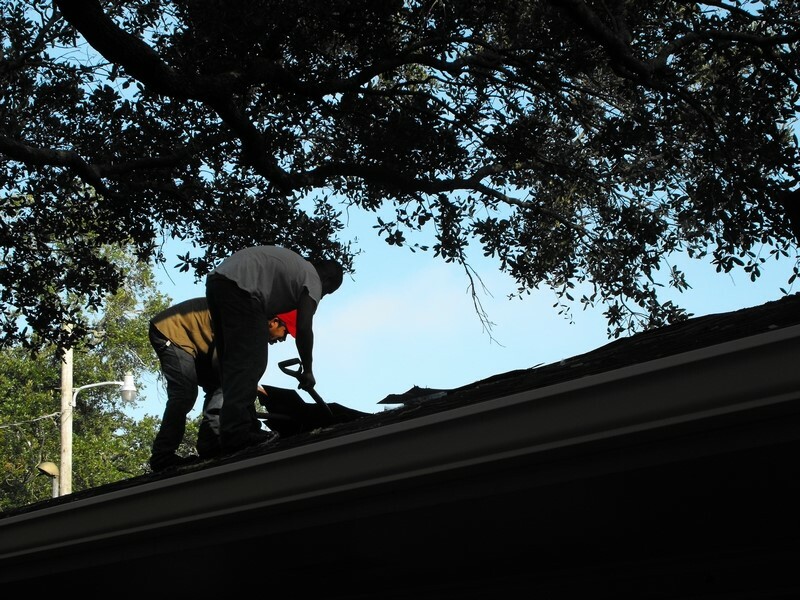 Thankfully for Louisiana residents, the weather is typically conducive to roof replacement. We specialize in emergency service, so you really have no reason to wait! Once the process is finished, you’ll have a newfound appreciation for your roof’s hard work. At Juneau Odenwald Roofing, we pride ourselves on providing professional roofing service throughout the Gulf Coast area. We’ve seen it all, and our years of experience ensure your project is completed efficiently to provide beauty and security for years to come. With our roofing experts on your side, you’re sure to find that any time is the perfect time for roof replacement! Give us a call today to schedule an inspection!